When the fireplace is not in use, add some eye catching art. This piece is made of wood, copper, and agates. The wood can be stained to match your decor. 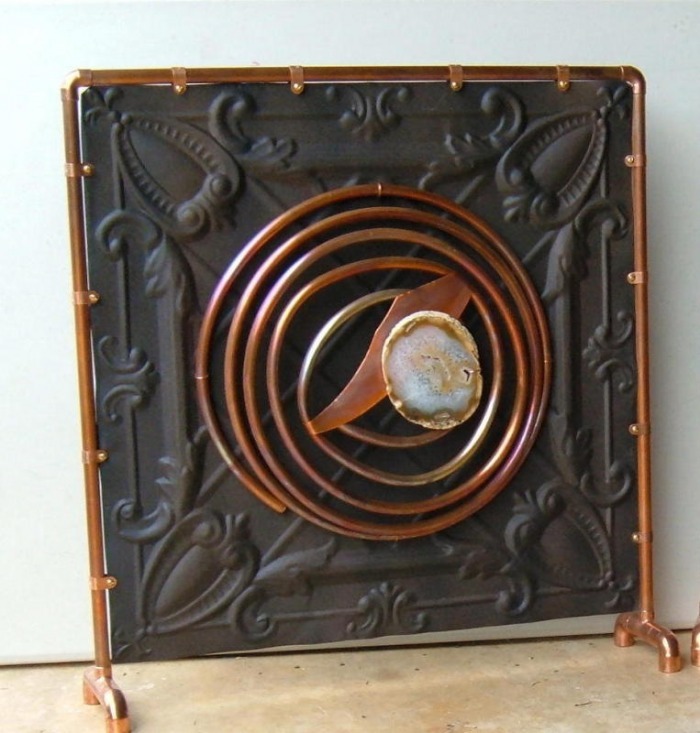 This cover is made of tin, heat treated copper and agate. The agate will vary on each fireplace cover. 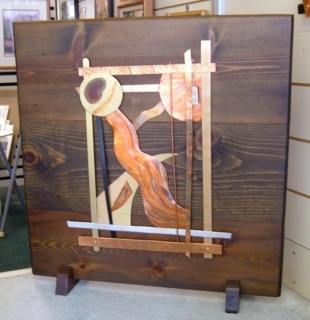 The frame and legs are made of copper, very sturdy. 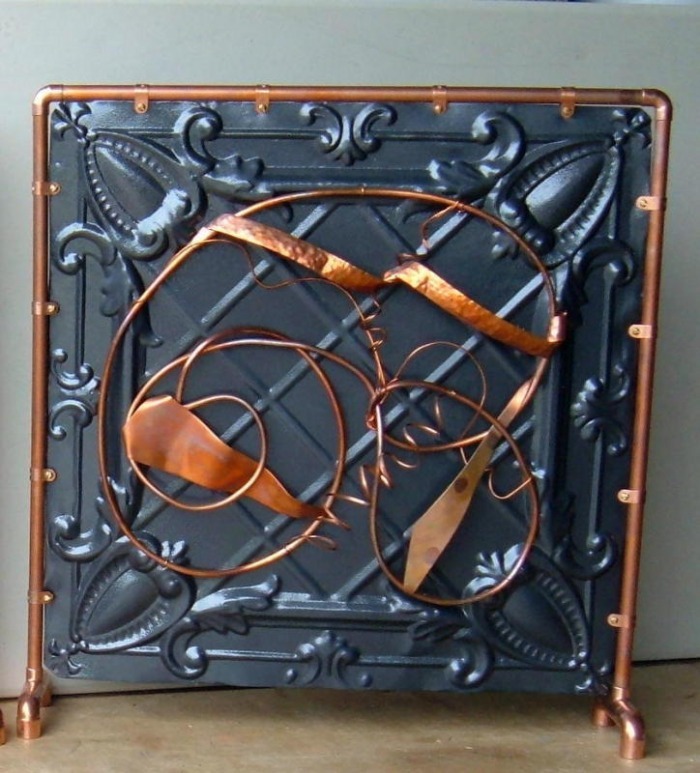 Add some art to your fireplace when not in use. Original design of salvaged copper on tin. 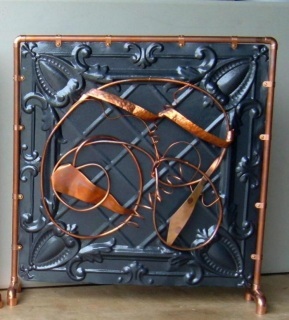 This fireplace cover would stand alone on a wall or corner as a single art piece.